How did you become involved in stamps and stamp collecting? I collected stamps as a child, spending my spare pocket money at Robert Murray’s Stamp Shop in Edinburgh. Like many, and encouraged by my parents, I would buy small bags of GB in the hope of filling some new spaces in my childhood stamp album. I loved learning about the world, and about myself as I discovered a hobby which I found competitive yet slow, never-ending yet manageable, adventurous yet calming. As a teenager with a growing number of duplicates, I started making little arts and crafts using old postage stamps, and later in life, I picked it all up again. Get more stamps on show and into people’s lives. To promote the hobby to new people who might find themselves inspired to become a philatelist one day. You’ve recently become Chairman of the PTS; what prompted you to become so involved in the stamp trade? I love postage stamps and want to share that passion with others. A couple of years ago, I quit my day job in the City to focus on building my stamp business. 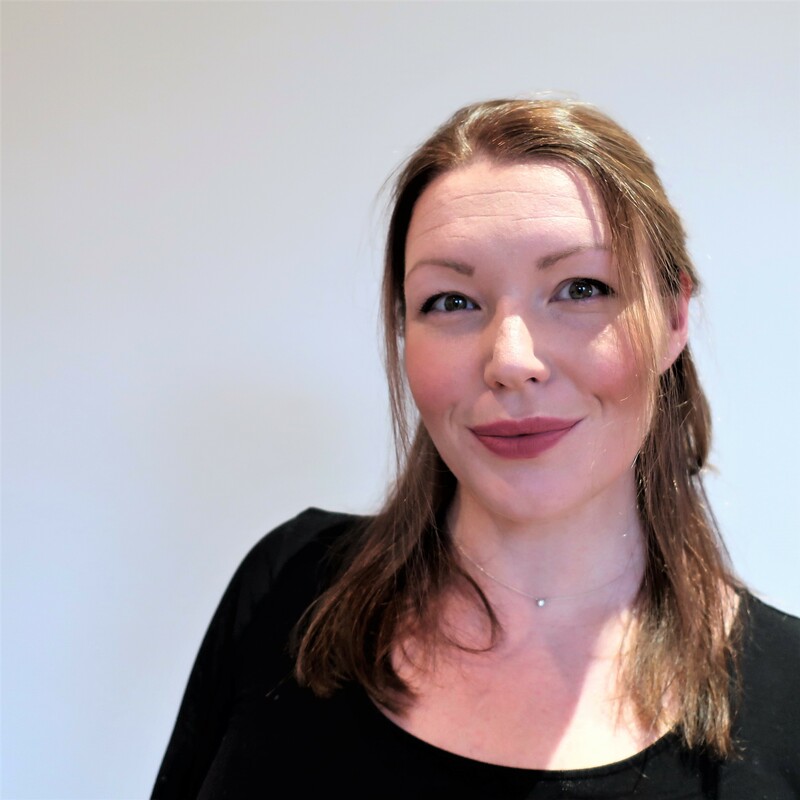 As a PTS member and Stampex stand holder, I could see that there was an opportunity to impart some of my past experiences in change management, communications and marketing into the trade. Opportunity knocked and I was delighted to join the Stampex Committee in 2016, then the PTS Council in 2018. When the previous PTS Chairman, Rick Warren stepped down and asked if I’d like to take on the role, I was truly honoured. I couldn’t imagine a more exciting place to be than helping to facilitate the future of our trade, Stampex and promotion of the world’s greatest hobby. I am lucky to work alongside such an experienced and ambitious Council and to have the input, feedback and support of our 300+ members. What role do you think the PTS should (and will) play in the promoting of our hobby in the next few years? The PTS and its members already invest in the promotion of the hobby in some fantastically creative and ambitious ways. If the collectors change what they collect, how they collect and for new audiences, we see a shift in why people collect, the trade must adapt. I am constantly amazed by the commitment, energy and efforts of our dealers in promoting the hobby even when the results do not necessarily benefit them directly. The PTS membership includes some of the most respected and influential stamp dealers in the world. By working alongside other influential and passionate philatelic organisations on the right initiatives, we can have a real impact on the future of the hobby. We have a role to champion the hobby and do what we can to support it. Talking is good, action is better. What other objectives do you have as PTS Chairman? We are in the process of developing a five year strategy which should place us as the society for the world’s leading and aspiring philatelic dealers. 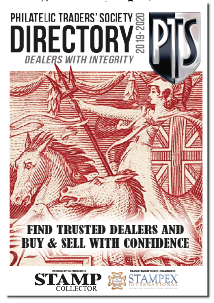 We want collectors to see the PTS Shield and know it represents trusted dealers with integrity. Stampex International also falls within the PTS’s remit and the five year strategy aims to place us as the world’s most successful stamp show. In the short term, our objectives are mostly centered around ensuring the Autumn 2019 and Autumn 2020 Stampex shows are a success, and enhancing our membership offer to better support the trade. Personally, I would like to continue to build on the remarkable collaboration taking place across the hobby. There are some exciting projects underway and we look forward to sharing news about them as they develop. In the meantime, if you have any suggestions on how we can better our contribution, I’d love to hear from you (info@thepts.net). Don't miss the PTS Directory 2019-20, available now with the April 2019 print edition of Stamp Collector, or available as a digital download.